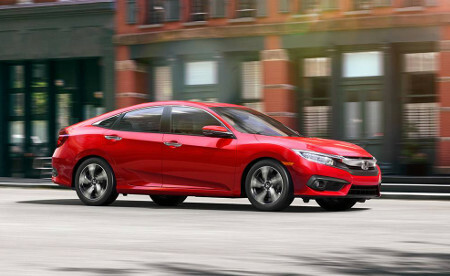 When it comes to compact sedans, Goshen and Monroe drivers understand that the 2016 Honda Civic will outperform the 2016 Kia Forte in every way that counts. 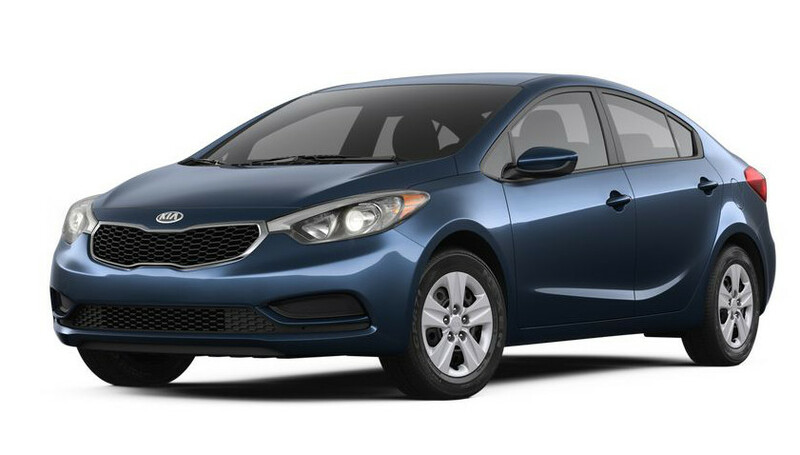 Whether you require more space, greater power, higher efficiency ratings, or the latest onboard technology, you’ll need to bypass the Kia Forte and head straight for a 2016 Civic. LX: The entry-level LX model makes no compromises when it comes to premium features, offering Goshen and Monroe drivers a multi-angle rearview camera, electric parking brake, 5-inch color LCD screen, and LED daytime running lights. EX: The EX upgrades styling with a one-touch power moonroof and enhances safety with a Honda LaneWatch feature. It also comes with Android Auto™/Apple CarPlay® connectivity. EX-T: The EX-T showcases an outstanding level of power thanks to its turbocharged 1.5L engine, and also adds dual-zone climate control and heated front seats as standard. EX-L: The EX-L makes your comfort into its top priority, with leather-trimmed seats, an auto-dimming rearview mirror, and driver’s seat with 8-way power adjustment. Touring: The Touring receives the Honda Sensing suite of driver-assistance technologies as standard, as well as a 450-watt 10-speaker premium audio system and heated outboard rear seats. LX: Comes with 15-inch steel wheels, air conditioning, and a 60/40-split folding rear seat. The 2016 Honda Civic and the 2016 Kia Forte each offer two available powertrains, but the Civic’s lineup utterly outclasses the Forte’s powerhouses in terms of both performance and efficiency. Base Engine: The Civic fits a 2.0L four-cylinder as standard. Good for up to 158 hp and 138 lb-ft of torque, it also makes up to 31 mpg in the city and 41 on the highway* with a continuously variable transmission (CVT). The Forte’s base 1.8L four-cylinder generates only 145 hp and 130 lb-ft of torque, but still falls behind in terms of fuel economy by offering only 26 mpg in the city and 39 mpg on the highway. 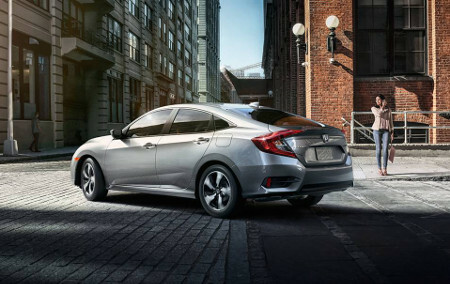 Available Engine: The Civic’s available 1.5L turbocharged four-cylinder can enliven your ride with up to 174 hp and 162 lb-ft of torque, all while making a highly enviable 31 mpg in the city and 42 mpg on the highway* with a CVT. The Forte’s available 2.0L ekes out only 173 hp and 154 lb-ft of torque, and it makes a meagre 24 mpg in the city and 35 mpg on the highway, significantly less than the Civic. The 2016 Honda Civic is strikingly roomy compared to the 2016 Kia Forte. In fact, the Civic is one of the first vehicles to truly offer full-sized sedan dimensions within the sleek lines of a compact. Here’s how the two cabins measure up. Passenger Space: Up to 97.8 cubic feet in the 2016 Honda Civic vs just 96.2 in the 2016 Kia Forte. The 2016 Honda Civic complements its roomy interior with a high standard of technology, offering several features that aren’t available with the 2016 Kia Forte. Apple CarPlay®/Android Auto™: Sync your smartphone to the Civic to use a growing range of the features and apps on the 7-inch display audio touchscreen. Rain-Sensing Windshield Wipers: The Civic can tell when it’s raining and how hard, and will then activate its wipers automatically. Multi-Angle Rearview Camera: The Forte doesn’t even include a rearview camera as standard, and the one it offers as an option doesn’t possess the three viewing modes of the high-end Honda version. 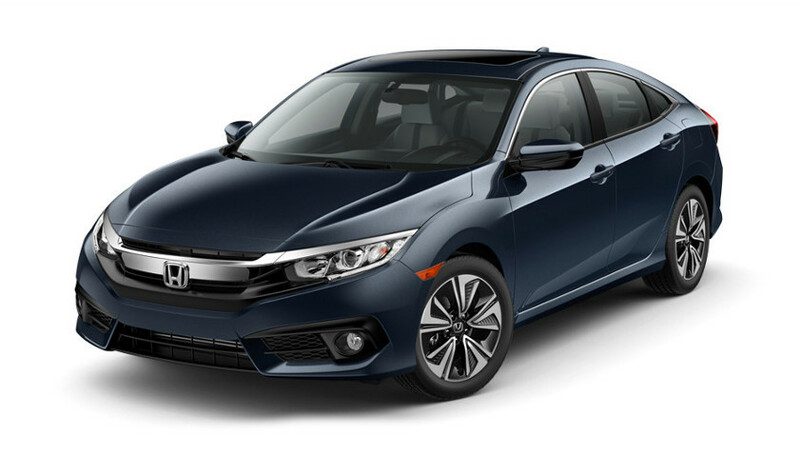 The 2016 Honda Civic is one of the safest vehicles around thanks to its ACE (Advanced Compatibility Engineering) body structure, which is able to direct harmful impact energy away from occupants in the highly unlikely event of a collision occurring. 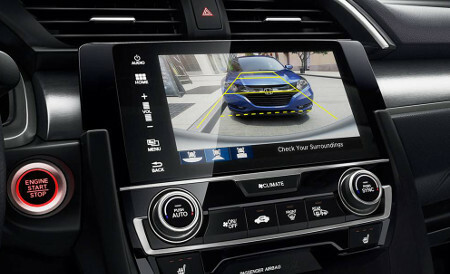 The 2016 Kia Forte lacks this feature, and is also missing all of the latest driver assistance features that you can find in the available Honda Sensing package. The 2016 Honda Civic stands high above the 2016 Kia Forte, so make sure you head down to Middletown Honda to experience a leading compact sedan. 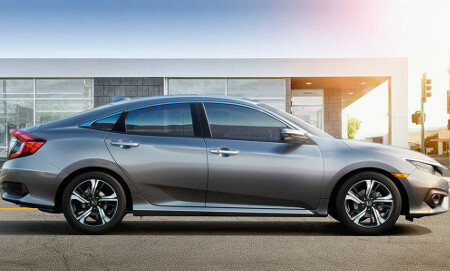 We’re always happy to talk you through everything that makes this 10th-generation Civic one of the most sought-after cars in the United States.